Maryland weight loss population of 1.4 million is obese and their bodies are a ticking time bomb ready to explode in the form of a heart attack or stroke. Having a BMI (body mass index) of 30 or more (obese starting point) puts one at greater risk of high cholesterol. And high cholesterol leads to atherosclerosis, a dangerous accumulation of cholesterol and other deposits on the walls of the arteries. These blood flow reducing deposits are called plaques. A blood clot forms where plaques tear or rupture thus blocking blood flow and plugging an artery downstream. One will have a heart attack if blood flow to the heart stops. And if blood flow is blocked to the brain, they will have a stroke. Cholesterol is attached to proteins and carried throughout the blood. The protein and cholesterol combination is called a lipoprotein. There are 3 types of lipoproteins. • LDL (low-density lipoprotein) or “bad” cholesterol builds up in the walls of the artery making them hard and narrow. • VLDL (very low density lipoprotein) has the most triglycerides which makes LDL cholesterol larger in size and further causes the blood vessels to narrow. • HDL (high-density lipoprotein) or “good” cholesterol picks up excess cholesterol and takes it back to the liver. If one’s BMI is over 30 than their body is a ticking time bomb ready to explode with either a heart attack or stroke. 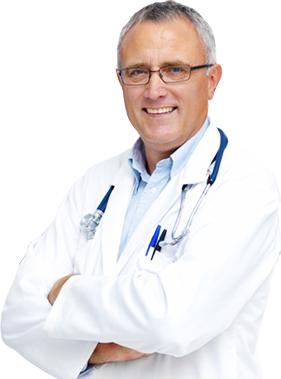 The use of HCG weight loss will dismantle that time bomb. By losing weight, one will look better, feel better and their quality of life will improve. 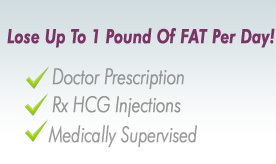 Medically supervised Maryland HCG program is available from the comfort of one’s home. Call Slim Spa Medical with questions at 800-208-6533 and their medical staff will follow up weekly to update one’s medical chart. A patient area within their website is available so one can connect with others on the Maryland diet as a support group.